Artificial sweeteners, those witches disguised behind delicious sweet smiles that hide a menacing intention to totally mess with your health. Most of us are aware of the negative effects of eating too much sugar, especially “added sugars”, the kind you find in fizzy drinks, sweets, baked goods, and many commercially-available kinds of cereal. Hiding in just about everything our detective powers are put to the test to sniff it out. If the sugar industry has anything to do with it, we will continue to ignorantly gobble that stuff up. With 9 teaspoons of sugar in one Coke, we quickly work through kilos of the white drug every year. Eating refined sugar spikes your blood sugar and insulin levels. It also increases your risk of a whole host of health issues. Those sweet-smiling witches are one of the food industry’s responses to the demand for lower-calorie foods that still taste great. The idea behind these sugar substitutes is that you satisfy your sweet tooth, without the calories. Magic! Think Pepsi Max, Diet Cola and many others. Theoretically, we could maintain a healthy body weight, and not increase anyone’s risk of heart disease, diabetes, or obesity. Things don’t always work out the way we think it will. Kind of like that dream of a tidy 14-year-olds bedroom or you will arrive home and a meal will magically appear! Sugar substitutes fall into several categories, but what they all have in common is a sweet taste and fewer calories than the white table sugar we are familiar with. Today we’ll specifically discuss “artificial sweeteners,” or, to put it another way, synthetic chemicals where a tiny bit tastes very sweet. I need tell you a story, I recently discovered sugar-free Marshmallows. Sweetened with Maltitol I thought if I only have them very occasionally I would be good. I bought one bag and ate half one day and half the next. I seriously paid the price. My stomach spent a day gurgling and erupting which came to an explosive end in the littlest room of the house. It took two days to return to normal. I also had to rebuild the good bacteria in my gut. NEVER AGAIN! While many studies of these sweeteners demonstrate the effects, others lack a clear conclusion. Cancer? Maybe yes, maybe no. Heart disease? Maybe yes, maybe no. Much of the research has been on animals, which may or may not translate to people. One noticeable piece of data: people who drink diet sodas have double the risk of gaining weight than those who don’t. While these results don’t apply equally to all those that drink soda how ironic the very thing that was introduced to mitigate the effects consuming too much sugar is doing the exact opposite? Now that’s the million-dollar question! Do we put on weight because when we know that there are fewer calories we eat more? Perhaps the sweeteners change our taste preferences, so fruit starts to taste rubbish, and veggies are revolting? Maybe artificial sweeteners increase our cravings for the real stuff? Does the sweet taste of these sweeteners signal our body to release insulin to lower our blood sugar? Then when our blood sugar levels get too low, we go through sugar cravings. It is suggested (and at least one animal test puts forward) that saccharin may ignite addictive tendencies toward it. Sugar is not good for you, but the solution may not be to replace it, artificial sweeteners. I recommend reducing your sugar intake. Naturally, re-train your palate to start enjoying the taste of real food that isn’t overly sweet. If you need to use a sweetener try using a plant-based sugar derivative such as Stevia, or one of the sugar alcohols like Xylitol or Erythritol. These will have less of a negative physical effect. Once your tastebuds change you will be amazed at what tastes sweet and the small taste of your friends Triple Chocolate Brownie will not leave you feeling like you missed out. 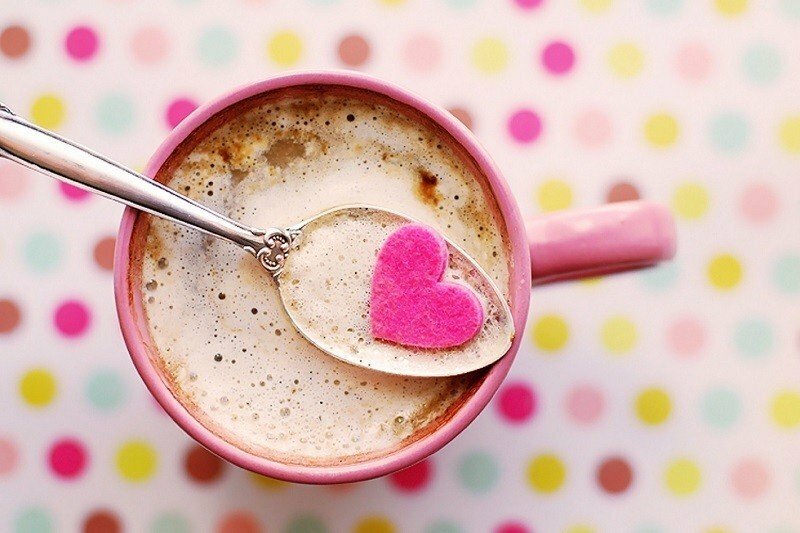 Have ½ teaspoon less of sugar in your hot morning drink. Reduce the sugar called for in some recipes. Try diluting juice with water. Add rest of the milk to the cup.